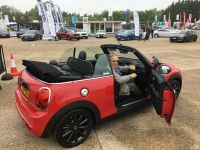 In late May, the Society of Motor Manufacturers and Traders (SMMT) hosted its annual main Test Day, bringing together vehicle manufacturers and hundreds of automotive and business journalists for some hours of driving and networking at the Millbrook Proving Ground south of Bedford. BTN editor-in-chief Macolm Ginsberg was delighted once again to take up the invitation. It is a great opportunity meet as many manufacturers as possible, including Ford, which has an embargo on drivers over 70 with its press car fleet. It is not that the company has abandoned the mature-driver market, the excuse being that their insurance company frowns upon journalists of certain ages. If you are under 25 there is a ban too. It is completely daft and BTN will not be carrying any detailed Ford reports, although for some unknown reason I was allowed on to the public highway with all three models highlighted here. Ford builds fine cars. Millbrook should not be muddled up with MIRA (Motor Industry Research Association), near Nuneaton, which nowadays calls itself a "Technology Park". The two complement each other. From a driving point of view, MIRA, on the site of a former RAF airfield, is flat as a test track, while Millbrook, essentially a research site, is run by a private company. It is situated in rolling countryside, enabling some interesting road designs to be incorporated into its facilities. There are four circuits available for the test day and an opportunity with some vehicles to drive also on the public highway. Each car is limited to certain facilities and woe betide the driver who tries to use a test route not allowed for his vehicle. 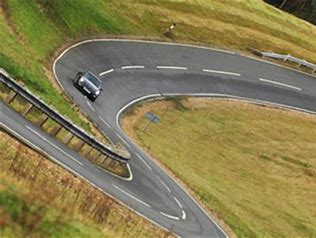 Easily the most interesting is the Hill Route, divided into three sections or loops, which contain progressively steeper gradients as well as many tight corners. The circuit length is 6.5km. There is supposed to be a 55mph limit and no overtaking, the problem being queues forming from time to time. Clearly the Kia Picanto is not as quick as the Aston Martin Rapide but both are proper four seaters. Drivers hold back to rush into the more exciting corners too, some keen to try the ‘ski-jump’ where it is very easy for vehicles to become airborne. Best to be seen on Top Gear. The Outer and Inner Handling (or City Course) circuits are essentially technical twisty routes designed to reproduce the sort of driving expected ‘in town’. There are no crocodiles on this circuit but for the professionals it does offer the chance of experiencing vehicle dynamic characteristics. The High-Speed Bowl, a two-mile banked circuit, was this year limited with the cars allowed on the track. No Jaguars, for instance. More’s the pity, as it does offer what in effect is motorway driving and an opportunity to test the engine, road and wind noise of the various cars. There is also a limit of 100mph and, for those who would want to go much quicker, helmets and professional testers are on hand to instruct on certain models. Also available was an awesome off-the-road course which scribes were only allowed to use accompanied by a demonstrating driver from the host supplier. This year, 30 brands took part, with more than 150 of the latest models available to drive. Traditionally, the day starts with an industry round-up by SMMT chief executive Mike Hawes, a safety briefing, and then a rush to get booked up for a drive. There are some exotic models not freely available for a routine office/home test drive; at Millbrook they are very quickly booked up. Back in 1979, at the SMMT’s first Test Day, cars on display featured what was then the very latest ground-breaking technology – ABS, catalytic converters and cassette, or maybe even 8-track, players. Today, innovation is increasing at a faster pace than ever before. There are cars with autonomous emergency braking, automatic parking, connected in-car services, petrol, diesel, hybrid, plug-in and battery/electric powertrains. Sadly, the Austrian-built Jaguar I-PACE was not to be seen (See BTN The electric airport 14 May), with first deliveries due in August. Here is a series of pen-pictures of the ten cars I was able to drive on the day. There is no winner, as everyone’s requirements are different. If you are a flat dweller, a rechargeable vehicle is not for you with nowhere to plug in. Newer blocks may have this facility, but most older ones do not. This is much the same for anyone who does not have a designated parking spot. Electric chargeable cars need lots more quick-charge points to make them acceptable. There used to be a whole range of British two-seat sports cars on the UK market: Austin Healey Sprite, MG B and Midget, Lotus 7 (now Caterham) and Elan, Jaguar E Type, Triumph TR7 and Spitire, Ginneta, TVR, plus offerings from BMW, Mercedes Benz and others, including Alfa Romeo. Lotus and Jaguar are still around. Mazda introduced the MX 5 in 1989, while Audi launched the TT in 1998 based on the A4 saloon platform. I managed to get hold of the RS Roadster 2.5TFSI quattro after a wait. It was very popular and not surprising with four-wheel drive and rocket-like acceleration with a quoted 0-60 in under 4sec. Unlike the Mazda, it does not sit down on the road that low and the driving position is not really sports-car but more low-slung saloon, which is its underpins. Once on the hill route, it really came into its own, the trick being to slow down and then accelerate away from the crowd building up behind. While I was waiting for the Audi TT, there was an Audi A8 55 TFSI quattro sitting around looking rather lonely. Perhaps the best way to evaluate this car is by requesting a chauffeur. I did manage a few minutes sitting in the back before changing to the front. There were heated rear seats, four-zone climate control, two additional USB ports, electric sunblinds for the rear windows, comfort rear headrests and the ability to control various functions via a removable tablet. There is a huge amount of space and also a vast boot. Is it a limo? Whatever its virtues, the chances of an Audi A8 replacing a Jaguar outside 10 Downing Street are remote. Once in the cockpit, other than its obvious size, the A8 is a very driveable, and quick with 0-60mph time of less than 6sec. There is a straight stretch at the end of the hill course about a quarter-mile long which I used to test a car’s performance both for acceleration and slowing down. The brakes work very well. The handling is sweet and for its size the A8 is most nimble. In its own parish, it competes with the BMW 7 series and Mercedes CLS 450. Audi did not invent four-wheel drive but at the Geneva Motor Show 1980 introduced the Quattro, arguably the first saloon to fit such a system. In many ways, it is still the leader in putting down the power via all the four wheels. Prices from £69,415. For whatever reasons, there are some cars one does not take to. This Ford was such, although it was up to the usual (you can’t say Dagenham – no Fords are assembled in the UK) high standard and this one comes from Romania. Perhaps it was the rear door that hangs on to a frame and opens right to left. Not the usual lift-up entry. Even the Ford PR man said he found it unusual at first. The EcoSport is marketed as a small crossover with AWD (All Wheel Drive) and “enhanced versatility and capability, more refined styling and sophisticated technologies”, whatever that means! It does have a fine centrally-located colour touchscreen that looks meaningful and does a good job and is much safer to view than many. No high-speed circuit for this one, but on the public highway you sit up high and feel safe, although I was not inclined to push it too far in terms of handling. In an effort to make it more saleable, Ford has loaded the basic model with ten speakers and four-way adjustable front seats that are heated. The steering wheel is also heated. It will appeal to some. Prices start from £17,445 with the ST coming in at £20,495, very well equipped with a fine 6-speed manual gearbox. The problem is it looks narrow because of its height and will not win any beauty awards. The Ford Fiesta remains Britain’s top selling car and it is easy to see why. The Spanish-built five-seater starts at £13,715 and offers terrific value. At £21k, the well-equipped Vignale may seem pricey but still undercuts most of its rivals. At Millbrook, a 1.0-litre 6-speed EcoBoost three-cylinder-engined car was available for the hill route and public road. The least powerful version develops 99bhp and completes the 0-62mph sprint in 10.5sec. The 123bhp edition trims that time to 9.9sec and the range-topping 138bhp engine can do it in 9sec dead. Ford sorted out how to build a fine manual gearbox many years ago and, while these days I prefer auto, switching to a nice 6-speed box changing by hand and feet still comes most naturally. This means all Fiestas are pretty comprehensively equipped, with air-conditioning, electric windows, remote-control central locking and Bluetooth standard on all models. The Fiesta Vignale, tops the range and is distinguished by 17in alloy wheels and a uniquely styled front bumper, grille and foglamps and plenty of chrome trim. There’s a full-length panoramic sunroof, heated quilted leather seats, a rear-view camera and parking sensors. Ford is really going up-market with its SYNC 3 state-of-the-art system that enables you to stay connected and control your phone, music and navigation system with intuitive voice commands, or use the 8in colour touchscreen. It connects to Apple CarPlay and Android Auto too, and with Applink. You can access some of your favourite smartphone apps, including Spotify. Live Traffic can also help you to avoid the jams. And you can even call up a list of local restaurants just by saying “I’m hungry”, or access the Michelin Guide to help you choose and book places to eat. The term “Mondeo Man” ought to be erased from the motoring vocabulary. The Mondeo has been around since 1993 and today is a very sophisticated motor car well able to keep up and perhaps overtake its contemporaries at its price range. Some people will not buy a Ford because of its name, which is a pity. Why not call it “Cortina” or even “Capri”, both honourable titles from Ford history, but not Mondeo? 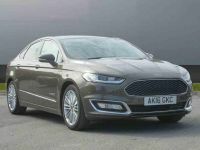 In any event, the Hybrid Mondeo should be compared with the Toyota/Lexus range of self-powered semi-electric vehicles, and not with the much less practical chargeable offerings. It is a long time since I drove a petrol-fuelled Jaguar. Prodded by government, the Indian owners put much of their resources into developing diesel-engined products, especially in the UK market. Sales of diesel cars have declined substantially over the past 12 months for the Coventry-based company. Having owned several diesel-engined Jaguars and road tested numerous, I found it a relief at Millbrook to find a Jaguar XE 300ps petrol R-Sport in the line-up. As a driver, I was never keen on the heavy oil-fuelled cars, always slow on the pick-up, essentially suffering from low-end torque. However wonderful the fuel consumption, Jaguar was never going to win the traffic-light grand prix. The XE petrol R-Sport was a revelation. Available only as an automatic, and priced from £39,730, it suggests a top speed of 155mph. Jaguar says 0-60 can be achieved in just 5.4sec, not bad for a normally-aspirated small executive saloon. The interior is very much Jaguar Land Rover, with the rotary gear selector and a rather dated 8in screen much the same as the XF when introduced in 2007, the car that really started the present Jaguar success story. 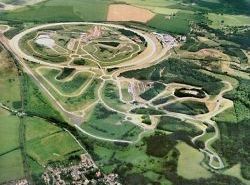 I repeat Jaguar Land Rover banned its cars from the Millbrook high-speed bowl and the road circuit. On the hill route, the XE’s performance is startling but for a car designed, one assumes, for motorway cruising, a chance to see what it is like being driven at speeds illegal outside Millbrook perimeter is a chance lost. Back in 2012, Jaguar Land Rover was not into the open-air car market with the exception of the embryo F type. 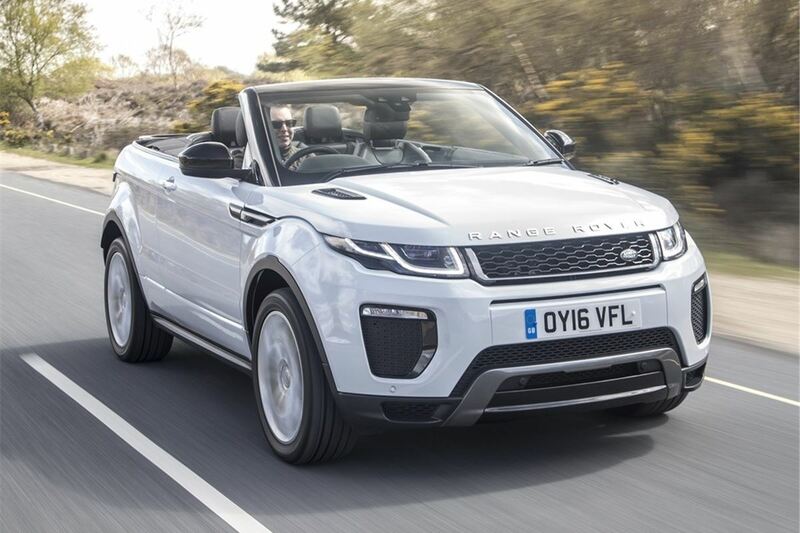 The Evoque had been launched with great success and the Gaydon HQ let it be known that they were working on a convertible version; by 2016, it was ready for production. All four/five-seat convertibles are a compromise in terms of weight and boot space and such was the case with this offering, a 180hp two-litre turbodiesel with a (very smooth) 9-speed automatic box. At 0-60mph, in 9.7sec it is only respectable in the traffic-light stakes and the 120mph top speed is academic. The dashboard layout and controls are purely Jaguar. No chance for a high-speed run but a quick drive on the Hill Circuit showed it to be quiet with the roof up and very acceptable with the fabric withdrawn. There was no offer of an escorted off-the-road trip, but the car comes with all that one expects with Land Rover including hill descent control, and terrain response. I am a fan of convertibles and under different circumstances it would certainly go on my short list. From £31,505. The one thing that marks Lexus from the other manufacturers supporting the Millbrook event is that all models could use the high-speed track, including the LC coupe which I rushed to get my hands on straight after the safety briefing. How pleasant to belt around the bowl at a steady 100mph in a glorious supercar knowing that shortly it needed to be returned to its owner. The LC 5.0ltr sport may be too exotic for most of us but it is a truly great piece of automotive artwork worthy of being seen in all the right places. The LC 500 is powered by a naturally-aspirated 467bhp V8 unit with a silky 10-speed hardly-discernible gearbox powering the car from 0 to 62mph in a claimed 4.4sec. The academic top speed is 168mph and at 100mph on the high-speed circuit it is simply a nothing, all very quiet and extremely smooth. The LC coupe is a proper four-seater, although no doubt adults will complain if asked to get in the back. Clearly, some of the senior managers back in Japan run the car too and supply a feedback. No power seats on this model. The mechanism was just too slow and required patience. To get passengers in the rear, just push the button and slide back. Much quicker. In its most basic form, the LC500 costs just £76,595, a good deal less than some of its rivals and is likely to prove to be an easy ownership with the occasional servicing available at your local Lexus dealer. Since it was introduced in 2004, getting on for 350,000 MINI cabriolets have been produced and it has grown better and better. It is by far Britain’s biggest-selling soft-top and is a 2+2, the two-seater version having been dropped. The only downside is the actual soft-top, which does not tuck away properly and offers a very, very poor rear-view and does not look very pretty when down. On the plus side, the latest version takes just 18sec to open fully (there is a halfway setting as well), it offers very quiet running when up and is virtually windless with the wind deflector in place. With the MINI convertible, an extra is the Union Jack embodied into the roof and the rear lights also promote the UK. The 2018 MINI is a sophisticated, electronic-aided, very modern motor car, often borrowing parts and ideas from its big-brother BMWs. Even the lead-in model has a 0-62 of 9.2sec and a top speed 120mph. Getting on for 50mpg can be expected, far superior to the original. Prices start from £19,795 for the Manual MINI Cooper (and £21,195 for the 7-speed Steptronic transmission). With the new MINI Connected functions, MINI offers a diverse range of digital services at premium level that is unique in the small car segment. At the 2017 event, the SMMT and Volvo wanted someone who had never used the auto-parking system to try it out in front of the cameras. I was walking b,y having not even driven a Volvo in recent times. At the second attempt, I did it perfectly and was well pleased with myself. This time around I made a beeline for Volvo, now a subsidiary of Chinese automotive company Geely, which also owns Lotus (not at the event) and the London Taxi Cab Company. My choice of car to drive was the V90 with the list price starting at £37,620. Volvo describes the car as a “versatile, spacious and sophisticated estate with a relaxed and intuitive drive”. I think that is just about spot on. Volvo has a long history of producing big, practical estate cars, but the latest V90 is clearly not as large internally as the BMW 5 Series Touring or vast Mercedes E-Class Estate. But how often do you actually need all the space? The V90 scores over both the worthy competitors in terms of the sheer quality of the package. It reeks class. Once again it was the hill route for my test, the Volvo not the quickest around and I was still finding my way over the blind bumps and ever increasing corners. There are various escape roads too, some with incredible inclines. Volvo has always been very safety conscious and included with the car is a run-off-road protection package which tightens seatbelts and activates energy-absorbing technology in the seats when the car detects challenging terrain ahead. Another system is the auto-braking feature, which cuts in if a driver pulls out in front of on-coming traffic. Plus the V90 also introduces a world-first – large-animal detection, a system capable of detecting large animals such as elk, horses or moose, night or day.